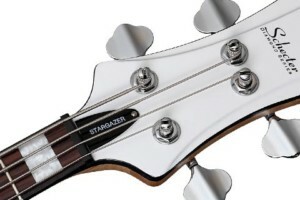 Schecter’s Stargazer-4 is a quirky take on basses of years past. The old school-inspired 4-stringer is built for versatility with EMG’s MMHZ humbucking pickup in the bridge position and the EMG SJHZ single-coil pickup in the neck position. 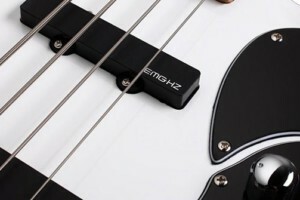 For further tonal adjustments, the bass has an EMG active 2-band EQ in addition to a pickup blend knob. The Stargazer-4 features an ash body, a maple neck, and a rosewood fingerboard with pearl block inlays. 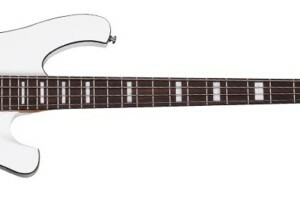 Available in Black and White, the bass has added visual appeal with binding opposite of the rest of the body’s color. 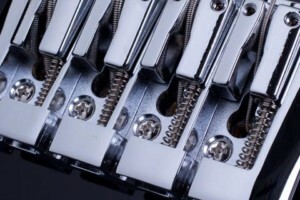 Schecter included their custom String Thru bridge, which allows for stringing through the bridge as well as the body or any combination therein. 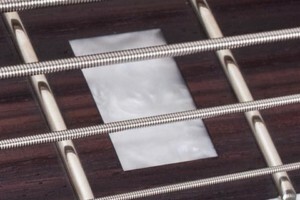 “Thru body stringing increases string tension and clarity, which is popular with player’s tuning below standard ‘A’ 440,” the company explains. For more, check out the Schecter website. 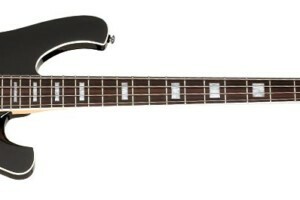 I was split between this and my current Spector. Nice basses, don’t get me wrong, but very flat sounding for some reason. 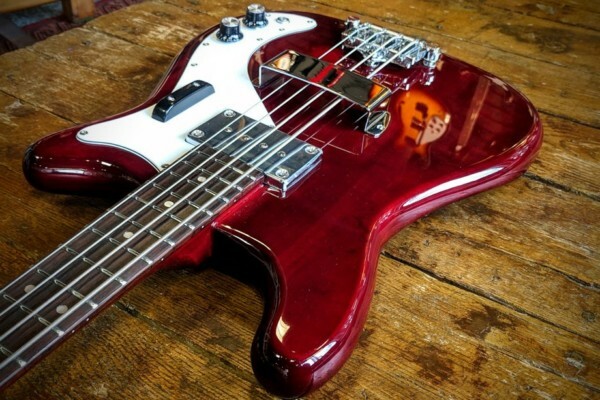 Is this a re-issue, or just a feature on an already existing bass? Either way, these babies are cool, lovin the Ric look, wonder how much they had to pay to not get sued? I owned one and wasn’t too crazy. With flats it didn’t really do “The Ric thing” and with Steels it didn’t do the rock thing. It did look super cool though. 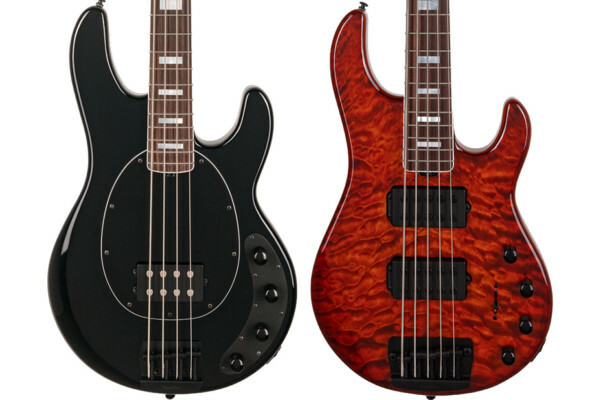 These are really sweet basses! I love the ric look! love my Schecter Diamond series Stiletto Elite 4. Schecters are really under-rated. 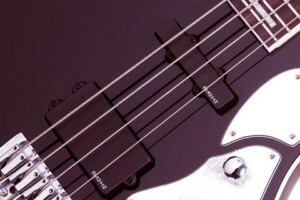 they are Great guitars ( basses) for the price point. I like this one in white with the black binding. Got mine like 2 years ago, has a beautiful crimsonburst finish. I have an old Ric and this thing tempts me. It is cool… hopin for different colors though. 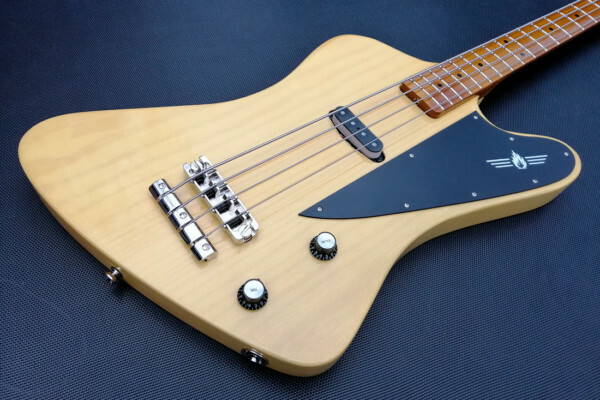 I dont know why they started making this bass and stopped making the 004. I bought the 004.. MUCH BETTER BASS. Same shape and neck. 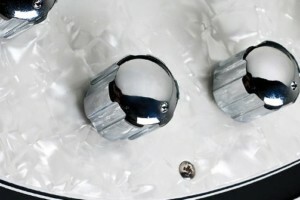 with TWO humbuckers. The Brass nut also.. not sure if the stargazer has that.. These necks are AMAZING!.. I can remove all other strings but ONE, and THAT one string will still be in tune, and the action is still spot on…the neck is VERY strong and the sustain is out of this world. 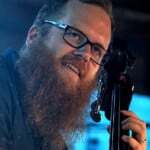 I’ve been playing bass for 25 years. The 004 Was WAAAAAAAAAAYYYYY under priced.